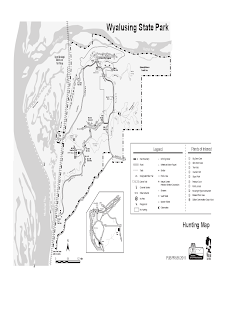 Wyalusing State Park will be open to deer gun hunting November 17-25, 2012. The park will not be open to deer hunting during other seasons. Wyalusing State Park is not open to archery hunting. the park during the November 17-25, 2012 firearm season. Please see the 2012 Wisconsin Deer Hunting Regulations pamphlet for definitions of legal deer hunting firearms. All firearms (excluding handguns) must be unloaded when in any vehicle, whether moving or stationary, and must be unloaded and cased when in or on any moving vehicle or on a motor vehicle or within a closed area of the park. Note: Muzzleloaders are considered unloaded if the cap is removed from a cap lock muzzleloader, or the flash pan is cleaned on a flint-lock muzzleloader; the ball and powder may remain in the barrel, except that the powder and projectile must be removed from the barrel of an electronic ignition muzzleloader. Herd Control Management Unit regulations apply in unit 73A for the 2012 gun deer hunting season (see the 2011 Wisconsin Deer Hunting Regulations booklet for Herd Control Unit tagging requirements). Gun hunters that receive a 2012 Park Access Permit for unit 73A may use their Gun Buck Deer Carcass Tag to tag one buck during the open gun season listed above. Antlerless deer may be harvested per Antlerless Deer Carcass Tag valid in “Herd Control” units. One comes free with each Gun Deer Hunting License. Additional Antlerless Herd Control Carcass Tags valid in “Herd Control” units are $2 each (for residents and non-residents) and may be purchased online, by phone or at any license sales location. When registering a deer harvested from Wyalusing State Park, indicate “73A” as the DMU of Kill. 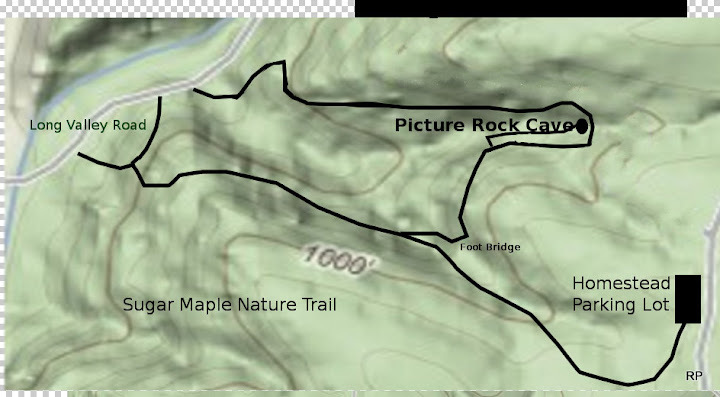 Some areas of the park will be posted as closed areas (see map on back). No hunting on or shooting into the closed areas is allowed. A wounded deer moving into the closed area may not be pursued by the hunter and deer may not be driven from closed areas. Park rangers must be informed by the hunter of the location of any wounded animal within the closed areas. All park regulations and traffic restrictions shall apply during the season. 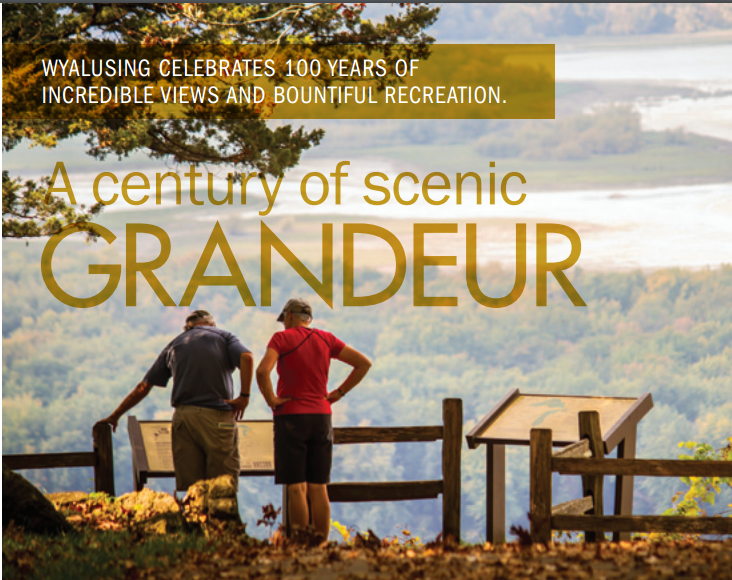 Contact the park office for more information. Group Hunting is restricted to persons in possession of a 2012 Park Access Permit for unit 73A. Persons who have filled their carcass tags may continue to engage in group hunting, provided they have their unit 73A Park Access Permits and deer hunting licenses in their possession. Disabled Hunters must also be in possession of a Park Access Permit for Unit 73A. Disabled hunters with a valid and appropriate class A or B disabled hunting permit may hunt from a legally parked vehicle in areas of the park open to hunting. Tree stands and ground blinds must be portable, removed from the property each day, and cannot damage trees (no screw-in foot pegs). Use of salt blocks and bait for deer is illegal. Any tree stand that is not occupied during legal hunting hours shall have the owner’s customer ID number or name and address attached to the tree stand in a manner that is visible to a person on the ground. time a gun deer season is in effect. No fires are permitted while hunting. Be sure all smoking material is extinguished. All laws and administrative codes related to hunting and conduct in state parks is strictly enforced. No other species of wildlife may be hunted within the park. All hunters should be aware of other recreational users in the park. Not all people will be wearing blaze orange, so be sure of your target and beyond. 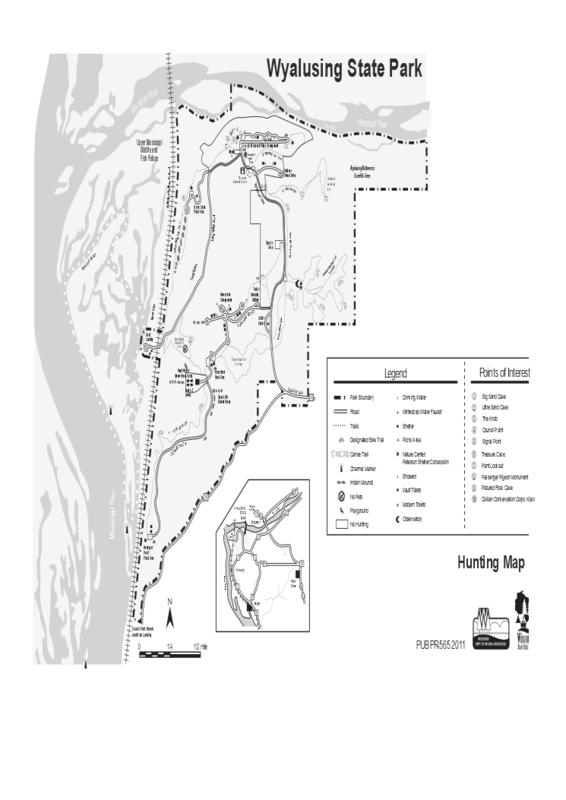 Have you ever hunted deer at Wyalusing State Park? Do you have stories of hunting in Wyalusing State Park from long ago? We would like to read your comments or photos. Click here.